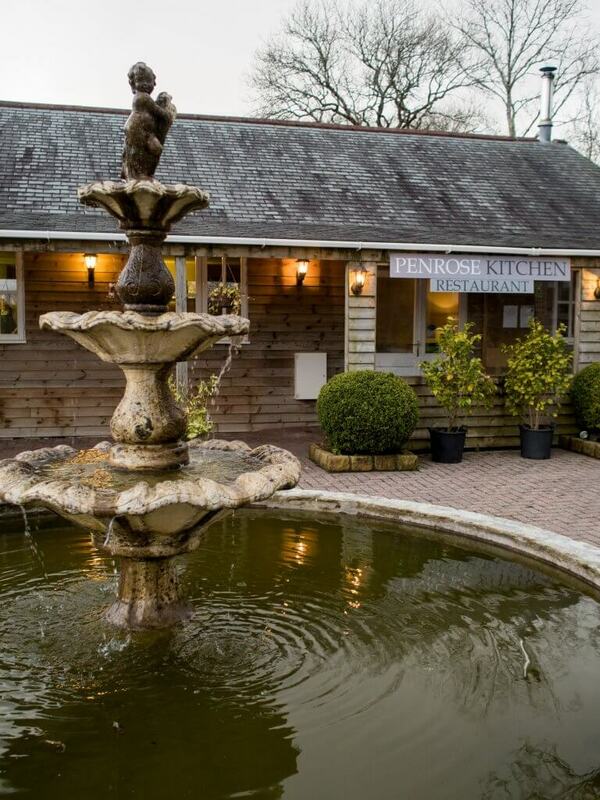 Tucked away on the outskirts of Truro, you’d never expect to find somewhere like Penrose Kitchen. Down the winding country roads of Shortlanesend, it’s not hard to find if you know where you’re going, but you’d be incredibly lucky if you stumbled upon it by chance! 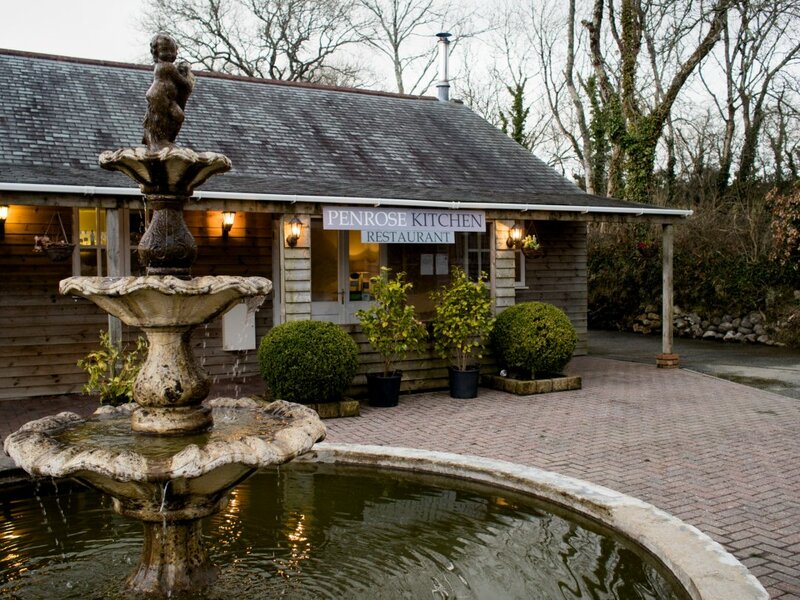 Surrounded by woodland and water gardens, the restaurant has just re-launched with partners Samantha (front of house) and Ben (Head Chef) at the helm. First impressions when we entered was how cosy and ambient it was inside! 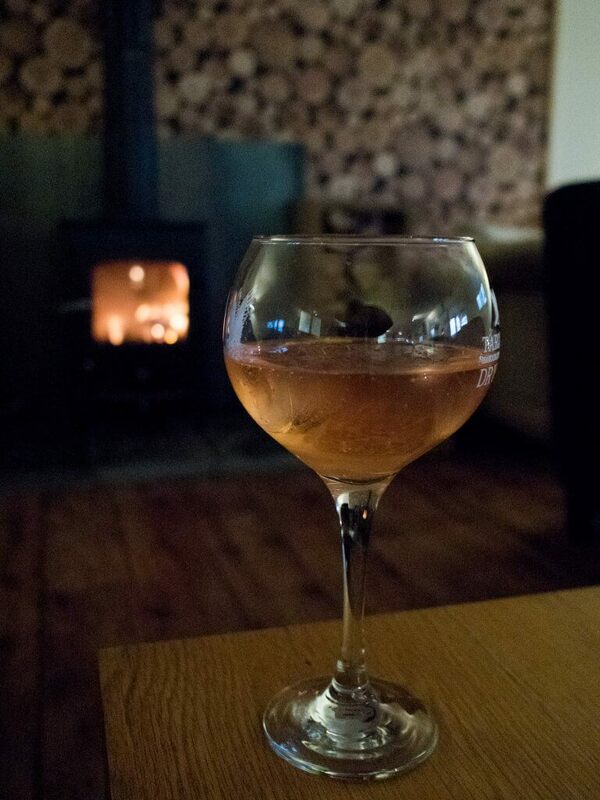 At 7pm in April, the sky outside was losing light slowly and it was a rather chilly evening too, so walking in to a log fire and some comfy sofas to have a read of our menus and sip some pink gin and tonic (Tarquins, of course!) was a luxury. Samantha greeted us with the warmest of welcomes, and took us to our table near the window once we’d (finally!) decided what to have from the menu. The restaurant has patio doors leading out onto a decked terrace that overlooks like lily gardens, which I imagine would be amazing to sit outside with a glass of wine in Summer! The outside is dog friendly too, so we’ll definitely be returning with our furry friends. 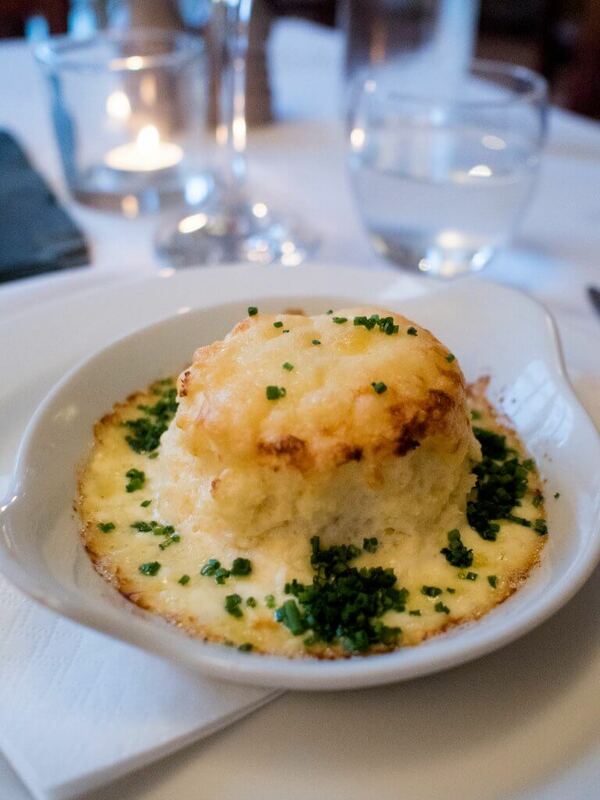 Alex chose the pig’s cheek and ham hock terrine for starter, while I (after much internal debate) went for the cheese soufflé. Well (despite my limited knowledge of soufflés) I don’t think the chef struggled at all! It was delicious, and unlike anything I’ve eaten before. It was sort of like a foamy cheese mouse but with a thin crust exterior… super yummy, especially with the chives as well. 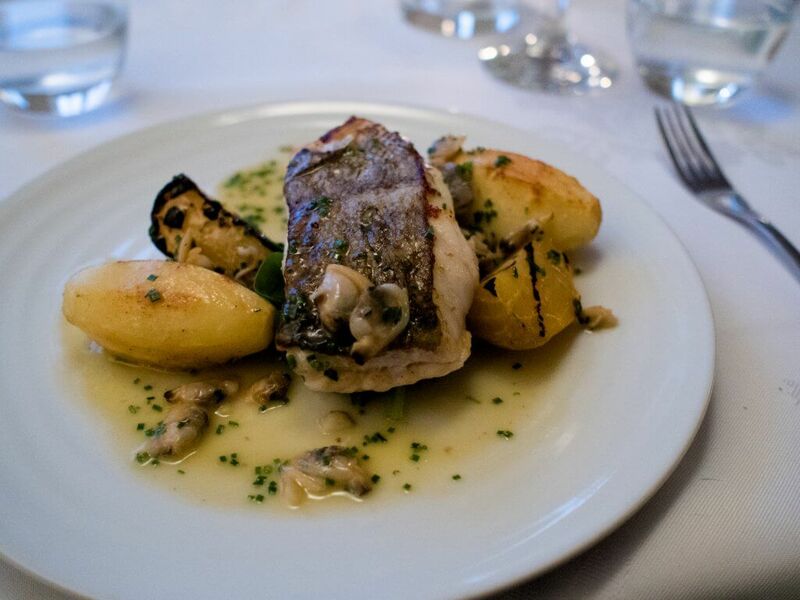 For main course, I was stuck between two fish dishes, but in the end I went for the Cornish cod fillet with golden beetroot, potatoes, spinach and clams (another thing I’ve never had before!). It was a lovely combination, and I discovered that I really like clams too! 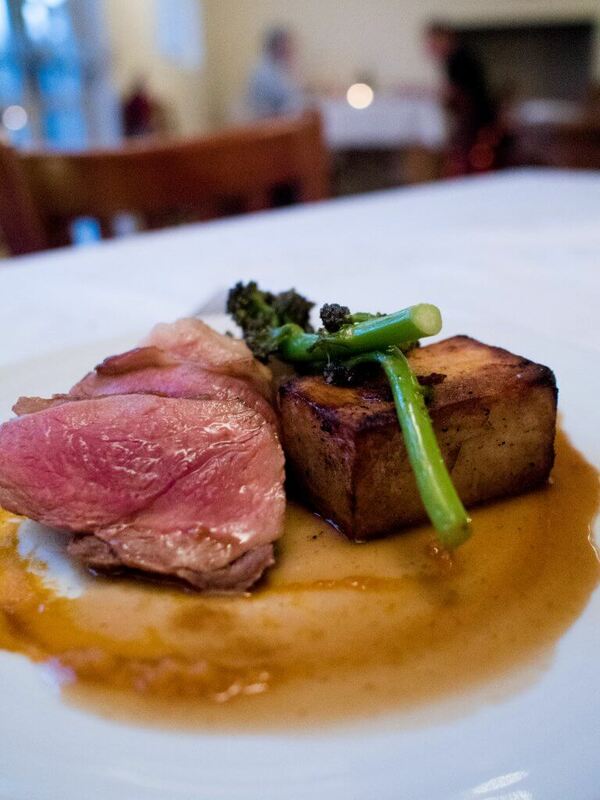 Meanwhile, Alex went for the Cornish lamb rump with potato, butternut squash and broccoli. As usual, I think he was rather jealous of my fish dish though! We both carefully considered ordering dessert (with choices like a dark chocolate mousse and brownie, curried caramel, and poached rhubarb, it was pretty tempting! ), but decided we were too full, sadly! I thoroughly enjoyed our meal and loved the cosy quietness of Penrose Kitchen. I also really felt Samantha’s hospitality was second-to-none; she made us both feel very at home. As I said, I’d love to come back of a Summer evening and sit out on the terrace to drink in the peacefulness of the location! PS. 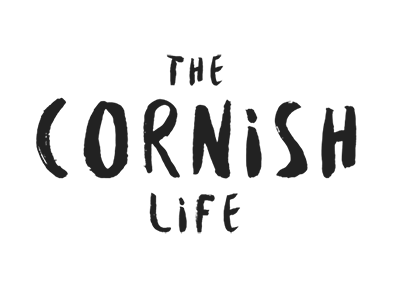 The restaurant does a ‘WINEd Down Wednesdays’ offer of 2 main courses and a bottle of Centelleo wine for £40 so take advantage! 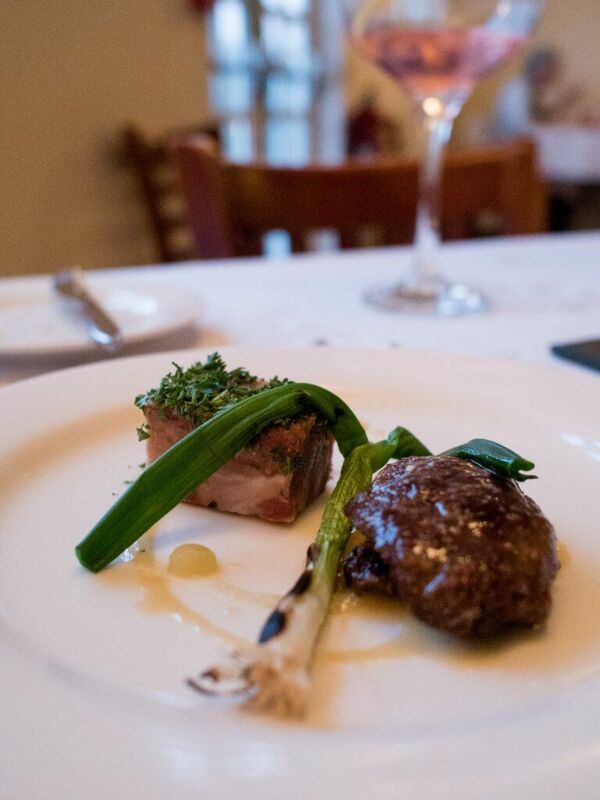 To book a table or view a sample menu, head to the Penrose Kitchen website! * I was offered a complimentary meal here for the purpose of review, but all thoughts are honest and my own.